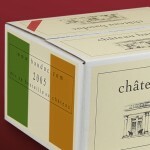 Mike Kane of Curious Wines in Ireland talks through our Château Bauduc Bordeaux Blanc Sec 2008. “A cracking wine for your money” and no, we didn’t put him up to it. To buy the wine in the UK, click this link to our order page. Mike’s Curious Wines blog is here, including a rambling interview with your’s truly.